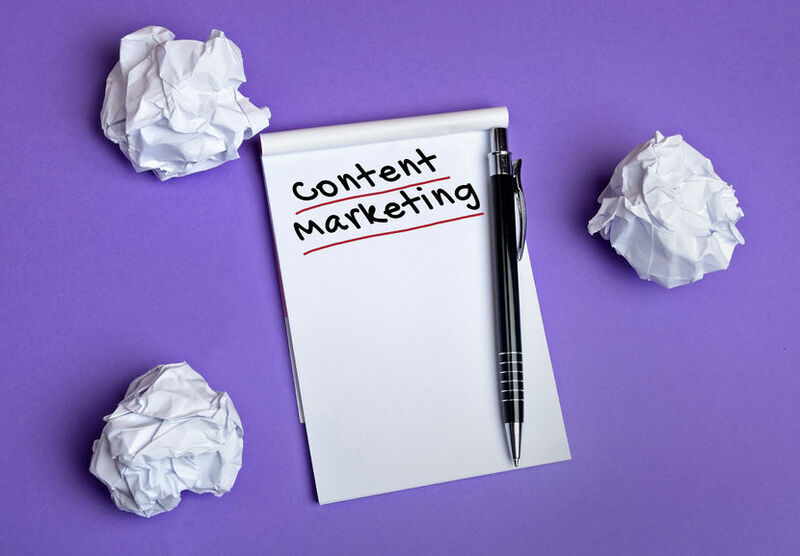 If you read Part 1 of this two-part series, then you already understand the basic principles behind Content Marketing (CM). If you haven’t read it yet, then go back and read it now; Part 2 will be waiting for you when you get back. Now that you have a better understanding of what CM is and when to use it, you can dig into some of the most common CM options that you can get your message out. The types of CM marketing tools are limited only by your own imagination. The following are some common methods that companies use to enhance their marketing strategy. Emails are a good way to send out product information, such as announcing new or enhanced products, to current products or new ones. But, email can do so much more. Of course, you need strong subject lines to entice readers to read an equally-strong messages. If marketing via email is not your thing, then an email marketing service may be helpful. If you’re not sure what a blog is, then look no further than the ChooseWhat STARTICLES for plenty of examples of how informative they can be. You can use blogs to inform readers about the inner workings of any product or service, explain technical concepts or announce the latest calendar of events pertaining to your company or the industry. Of course, potential readers have to know that the blog site exists — and be compelled to look for new blogs regularly. I personally use emails to notify my small-but-loyal silly dog blog readership whenever I manage to find time to write a new one. Don’t forget social media sharing. If you look at any of our STARTICLEs, you’ll see Facebook and other links at the top that make them easy for anyone to share on a variety of platforms. If you have an online store (or any type of online presence) product listings are a great place to insert a bit of CM. A link to a blog about the product you’re selling informs potential customers about its ease of use, when to replace it or other helpful information. You don’t even have to link to your own content. Just think of how helpful a link to an article about rechargeable battery types (written by battery experts, of course) might be to customers who buy your battery-operated widgets. Customers who buy more complex or technical products or services often want to understand the underlying principles to make smart buying decisions and get the most out of whatever they buy. From a pure marketing standpoint, you generally provide whitepapers in exchange for contact information from potential customers. As long as you don’t make whitepapers directly available from a web page, interested parties must provide their email addresses (and possibly more information) in exchange for the document. So, if you have enough useful information to fill at least six pages (based on recent news, a tax service that publishes “How the New Tax Laws Affects Every Business” might be a winner), a whitepaper might be the way to go. You have many options for connecting regularly with customers and prospects through social media. I’ve already mentioned how links in your blogs can encourage readers to share your content. But, the key is to maintain an active presence on social media platforms and amass lots of loyal followers. Since this requires an understanding about some of the most prominent platforms — and it requires your dedication and perseverance, I can’t overstate the value of reviewing our how-to page about social media. If you have the skills, then producing your own YouTube videos can be a great way to go. If you don’t have the skills, then see if you can find existing videos online that explain your products or services in some way. A link provided in your emails, social media or online product listings can add extra value to your marketing scheme. If you’re having trouble choosing the best CM option, good news: you don’t have to choose just one. Multiple options can and should work together. An email can provide a link to your blog. A blog can offer a whitepaper. Even a customer support tweet can lead back to other helpful information. For effective marketing, you need to develop a cohesive CM plan. Here’s an interesting tidbit: a recent U.K. study showed that marketers highly committed to CM boasted a success rate of nearly 40 percent. Those who admitted being only somewhat committed reported only 5 percent success. This is not like a New Year’s resolution; you have to develop a solid plan, and then stick with it. Start slowly with CM methods that fit your resources and needs, and expand to more options as appropriate. But take the time to plan out your longer-term strategy, and put every step on your priority list. This is how CM can pay off in greater visibility and lead to increased sales for your business.